I am working on some patterns for some dressing up items for little girls and boys. It’s something that I have been meaning to do for such a long time but you know what? Time spent with my two little girls just seems to fly by without any of us noticing. It’s so lovely to be spending time with them both but my creative bones have been itching. As the little one gets bigger and bigger she is getting more independent (and independent she is indeed!!) and I am finding that I have a few moments here and there to squeeze in a little more sewing. So in my snippets of time I have available I have designed a few items along a theme. I am still at the pencil on paper stage but I am happy with the deigns that I have developed. I asked Charlotte to choose which design she thought I should make first and her little face lit up when she saw the choices (to me, both a relief and a delight). She has made her choice so design number one is about to be under way. I ordered some supplies the other day…. 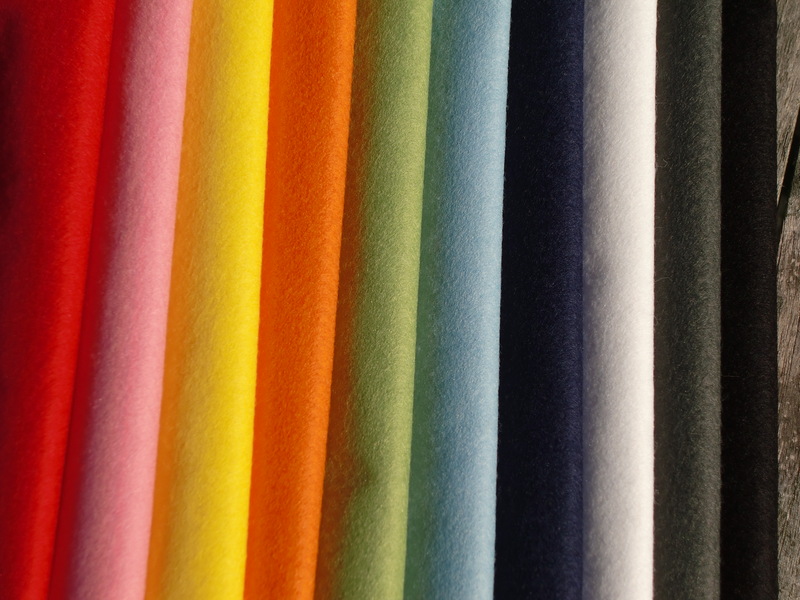 loads of felt in lovely colours…..
Are you starting out any new projects at the moment? Have you had a good excuse to buy some lovely new supplies too?